We're delighted to have acquired the rights to publish Sharlene Teo's Ponti, one of the most highly anticipated submissions of the Frankfurt Book Fair. Ponti opens in 2003 and introduces three women: sixteen-year-old Szu; her mother Amisa, a once beautiful actress; and Circe, Szu’s unlikely friend and confidant. Seventeen years later, in 2020, Circe is struggling through a divorce in fraught and ever-changing Singapore when a project comes up at work: a remake of the cult seventies horror film series 'Ponti', the very project that defined Amisa's short-lived film career. Suddenly Circe is knocked off balance: by memories of the two women she once knew, by guilt, and by a past that is threatening her conscience. Picador Senior Editor, Sophie Jonathan acquired UK and Commonwealth rights to Ponti from Emma Paterson at RCW after a seven-way auction. ‘From the moment I began Ponti it had me enthralled. Sharlene is so good on the convolutions of teenage loyalty, on the emotional complexity of being an almost-adult, and that tension is in the novel’s atmosphere too – sticky, sweaty, dank – the smog of Singapore and the heavy heated press of classrooms. Sharlene Teo (b. 1987) is a Singaporean writer based in the UK. She is the winner of the inaugural Deborah Rogers Writers’ Award for Ponti, her first novel. In 2012, she was awarded the Booker Prize Foundation Scholarship to undertake an MA in Prose Fiction at the University of East Anglia, where she is currently in her second year of a PhD in Creative and Critical Writing. She is the recipient of the 2013 David T.K Wong Creative Writing Fellowship and the 2014 Sozopol Fiction Fellowship. 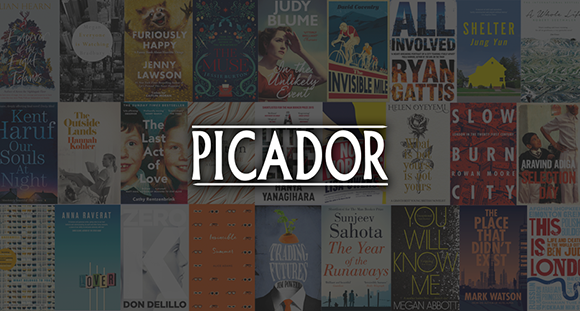 Picador will publish Ponti in 2018.